If you played the original PC version of Dark Souls, then odds are good you know about a little mod called DSfix. 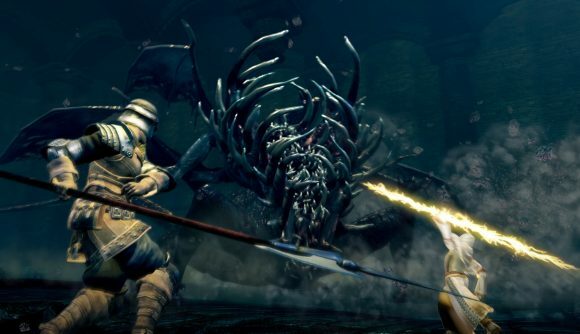 It was, at least initially, pretty much essential to getting Dark Souls’ shonky port working properly on PC. Now its creator has co-founded his own PC port studio. Peter ‘Durante’ Thoman is a computer scientist based in Austria, and in addition to creating DSfix, he’s worked on ports for XSEED Games and Enhance Games. Along with two colleagues, his new company PH3 aims to create high-performance PC ports and provide consulting services for development aspects like optimization and tuning. Thoman announced the news in a post on MetaCouncil Saturday morning, explaining that his team has been working on establishing the company since September, finally clearing the last Austrian bureaucratic hurdles this week. They’ve dubbed the company PH3, Thoman explained in the thread, because “three-letter technology companies seem to generally do well,” and that the three founders all hold PhDs. And it’s been the technical know-how that he’s accumulated as a computer scientist that’s given Thoman the chops to make some of the PC’s shakiest ports really sing – he’s worked extensively with downsampling and other technologies to make some of our favorite titles work the way they should (and better) on PC. So founding a studio where developers and publishers can go to get their games working properly for PC players is great news – although it’ll be a while before you can petition Durante for a port of something on your wishlist. Instead, Thoman says, you’ll still have to go the traditional route of ‘portbegging’ developers and publishers of their games if you’d like to see a console exclusive show up in your Steam library someday. “But if you gain traction, you can certainly suggest they consider our services,” he suggested with a wink.